Jake LaMotta: Hey Ray! Never went down man. You never got me down, Ray. When Martin Scorsese’s RAGING BULL was released theatrically in 1980, it was actually not as well received as you might think. Scorsese’s sixth feature film is generally today considered to be one of the best American films ever made but at the time, it was a bit much for many. Today, we are accustomed to unlikable protagonists. In 1980, to kick back and enjoy a film about Jake LaMotta (Robert De Niro), a boxer who fights just as hard with himself, and the people in his life, as he does with his opponents in the ring, was likely just as jarring as any given boxing match would be for a non-boxing enthusiast. 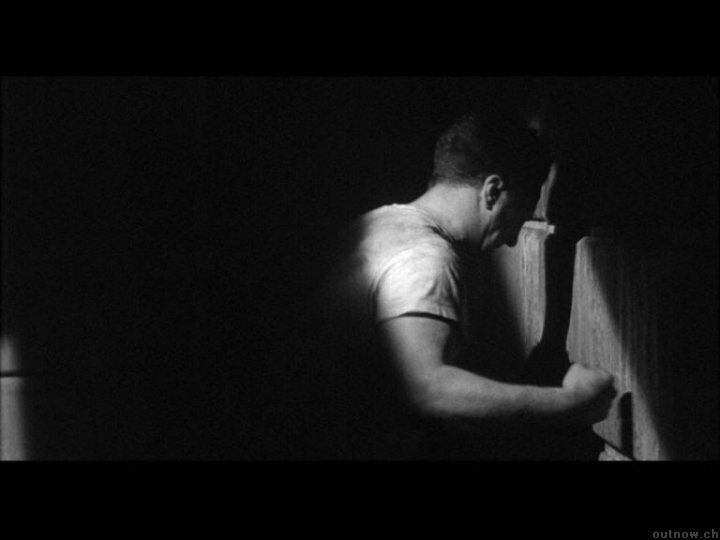 Shot in stunning black and white, Scorsese does not pull any punches with RAGING BULL, allowing all the abuse, violence and overall paranoia that consumed LaMotta’s life to take center stage on screen. After 10 crazy rounds, its hard not feel knocked out. Jake LaMotta is a Bronx born fighter. He began his professional boxing career at the age of 19 and would go on to win the middleweight championship before retiring in the 1950’s. After leaving boxing behind him because of injuries, he went on to a life as a nightclub owner and moonlighted as an actor and comedian. In his entire life, he has been married six times and has four children. 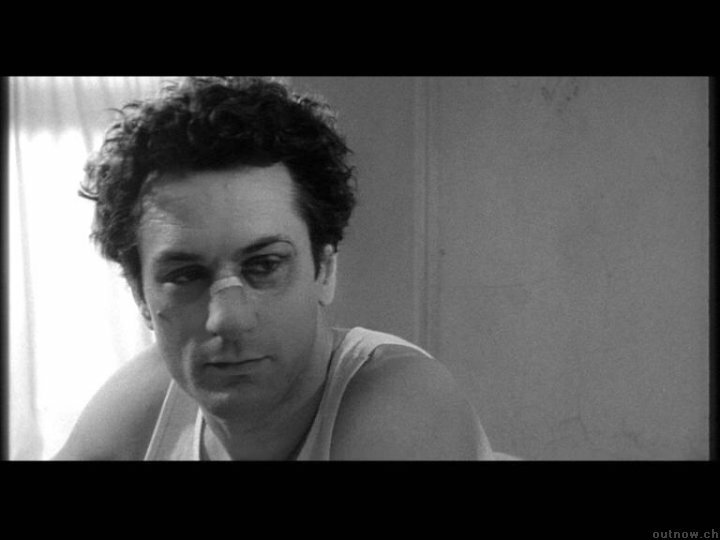 In RAGING BULL, his first marriage is essentially glossed over, allowing the majority of the focus to be placed on his second wife, Vikki (Cathy Moriarty) and their tumultuous time together during Jake’s boxing years. The film also focuses heavily on Jake’s relationship with his brother, Joey (Joe Pesci), whose character is essentially an amalgamation of Jake’s brother and his best friend, Pete, for simplicity purposes. While it may be based in truth, adapted from LaMotta’s own memoirs, it is definitely not a biopic in any traditional sense. 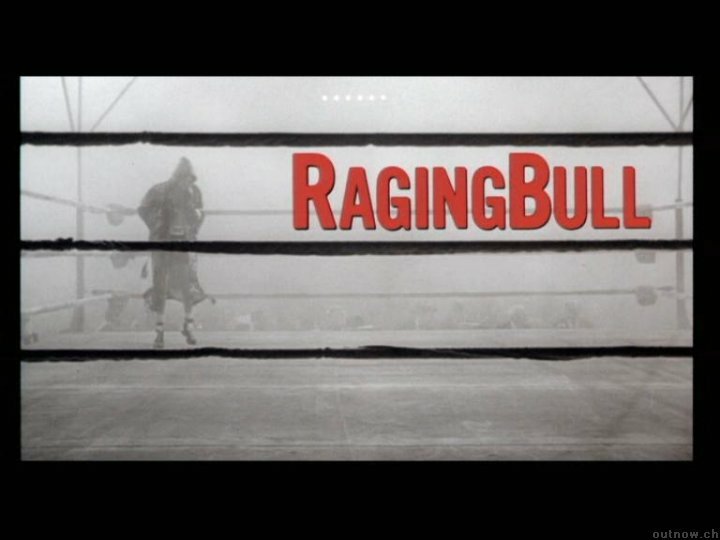 Scorsese has credited RAGING BULL and De Niro in the past for saving his life. It was De Niro who convinced Scorsese that he needed to kick the cocaine habit that had put him in the hospital in the late 1970’s after an overdose. It was also De Niro who convinced Scorsese that RAGING BULL was the perfect project to return to filmmaking with. And while Scorsese’s direction in the film is certainly some of his finest ever, in many ways, RAGING BULL is more De Niro’s triumph than anyone else’s. De Niro had wanted to make the picture ever since he read LaMotta’s book while making THE GODFATHER PART II and it is easy to see why. By playing a character as complex as LaMotta, De Niro is able to explore every facet of human emotion, from love and anger to pride and humiliation. He wears LaMotta’s demons like a second skin, even going so far as to put on sixty pounds to portray LaMotta in his later years. His passion for the project, which also included casting influence and uncredited work on the script, certainly paid off, as he took home the Oscar for Best Actor for his performance. Of course Scorsese and De Niro were a team back then; RAGING BULL was their fourth picture together. (They would go on to make seven in total.) As good as De Niro is in the film, it is Scorsese’s deliberate filmmaking choices that frame the brilliant performance and make it into an iconic one. While Scorsese must have known the film would stand out just based on the violent nature of it’s subject matter, he chose to film it in black and white in order to further differentiate it from other boxing films in production at the time. The lack of colour is also more appropriate for the period and tones down the blood in the fight sequences. 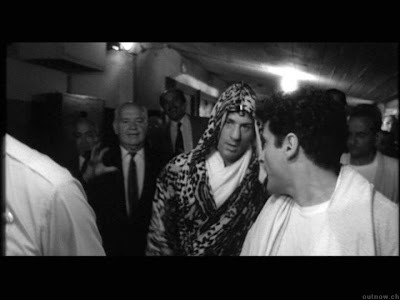 Scorsese also plays with the speed of the film at times, slowing down certain moments as if they are being burnt in LaMotta’s brain for all eternity. These moments range from a close-up of Vikki’s feet splashing in a pool the first time he sees her to the gloved fist of another fighter coming down on him during a pivotal match. The skill with which Scorsese brings this chaotic story to its close is unmatched by many even to this day and you can feel him fighting for it just as hard as LaMotta does at all times. As unnerving as RAGING BULL is, it is a far more quiet and introspective experience than one would expect it to be. And as much as it is a boxing movie (albeit there is only truly ten minutes of actual fight footage), it is much more of a character study, and an unforgettable one at that. LaMotta, or at least his screen incarnation, is a small-minded man, afraid that he will go through life without getting his supposed due. He fights for notice and when he has it, he doesn’t know how to hold on to it without crushing it or fully abusing it. He wants to do everything on his own and, in doing so, ends up completely alone. And once a bull has stopped seeing red and finished running everyone out of the streets he has always known, what is he meant to do with all that pent up rage? Perfect De Niro performance, as well as just a perfect film. Definitely should have won Best Picture, although Ordinary People was very good as well. Good Review Man! Hey Komal Mansoor .. thank you so much for that great compliment. I will need to check out your blog too. Hey Dan O! Thanks, sir. I actually have not seen Ordinary People (shame on me!) but Scorsese has a long history of getting passed over at the Oscars. Can anyone say Goodfellas!